Our wide range of services are backed by industry knowledge and passion to help clients find solutions perfectly tailored to their needs. We are professionals specializing in Colorado real estate, bringing a wealth of knowledge and expertise about buying and selling all types of real estate in Colorado. It's not the same everywhere, so you need agents you can trust for up-to-date information and professionalism. All of us here are eager to serve you. Search ALL homes for sale from ALL Real Estate companies! View real-time photos and information on ALL homes for sale by ALL Real Estate Companies. Choose your city of interest from the list of communities served on the Buy page or enter your custom search criteria in the box at the upper left of the Buy page. 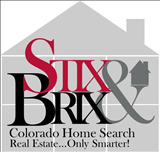 It's all FREE, so find your perfect Colorado home here right now! Denver, Colorado and the surrounding Mile High region has many unique neighborhoods, communities, and subdivisions. Visit our Buy page for pre-built searches to explore our local market or create your own custom search or is you are looking for New Construction we have that also.